I am excited to announce I have just listed a brand new 3 bedroom townhome as an assignment of a pre sale contract at the sold out Breeze New Home community in Squamish, B.C., built by Target Homes. ASSIGNMENT OF PRE SALE CONTRACT – Estimated completion Summer / Fall 2019. 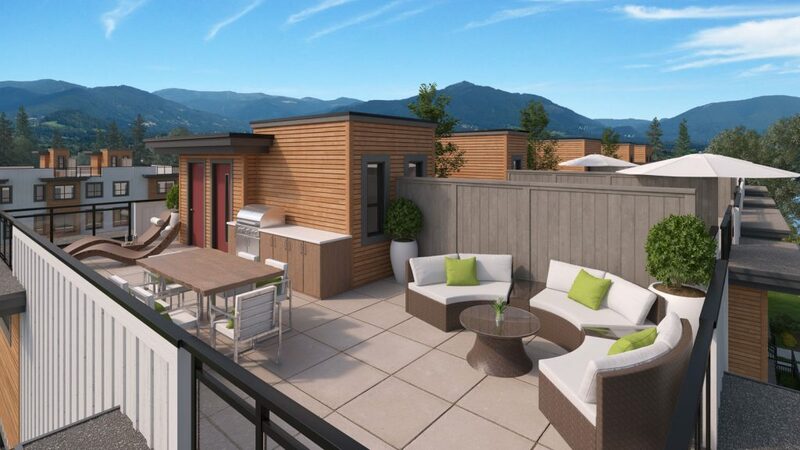 Welcome to Breeze by Target Homes, a community of brand new townhomes in a central location in Squamish. Unique to Breeze are the PRIVATE ROOFTOP PATIOS, an ideal outdoor entertaining oasis! #53 is an end unit with a bright East, South and West exposure that looks onto green space. With three full bedrooms up and two full baths, this home is ideal for a growing family. On the main level, the home offers 9′ ceilings, powder room for guests, modern chefs kitchen, large open entertaining areas and private balcony ideal for a bbq or a glass of wine on a Summer night. Downstairs, you’ll find two side by side parking and a garage / workshop ideal for all your toys and mountain bikes! This unique townhome is close to schools, groceries, breweries and trails! Contact the listing agent for information package and financial details of the assignment.